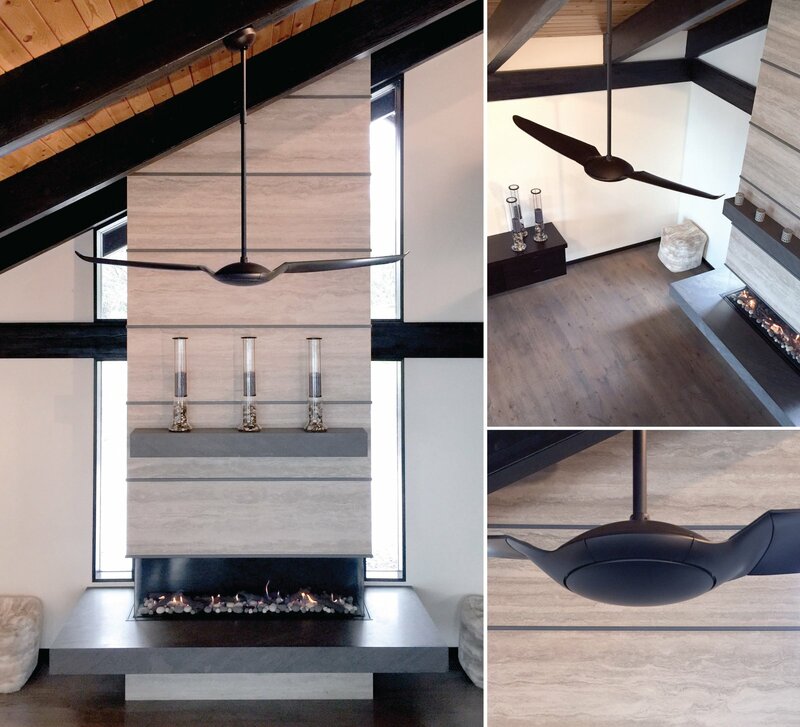 The new IC/Air fans, shown here in a dark bronze finish, feature a 52-inch span with curved blades that recall the shape of a soaring bird. It comes with an optional, dimmable LED light kit and can be controlled from a hard-wired wall switch, a handheld remote, or both. A six-speed DC motor runs smoothly and silently.